Anyone who wants to understand stock market cycles and develop a focused, thoughtful, and solidly grounded valuation approach to the stock market must read this book. 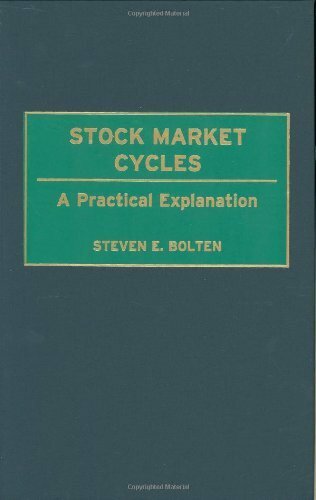 Bolten explains the causes and patterns of the cycles and identifies the causes of stock price changes. He identifies the sources of risks in the stock market and in individual stocks. Also covered is how the interaction of expected return and risk creates stock market cycles. Bolten talks about the industry sectors most likely to be profitable investments in each stage of the stock market cycles, while identifying the stock market bubble and sinkhole warning signs. The role of the Federal Reserve in each stage of the stock market cycle is also discussed. All the categories of risk are identified and explained while no specific risk is left undiscussed. The underlying causes for long-term stock price trends and cycles are highlighted. The book is useful in many areas including stock analysis, portfolio management, cost of equity capital, financing strategies, business valuations and spotting profit opportunities caused by general economic and specific company changes.